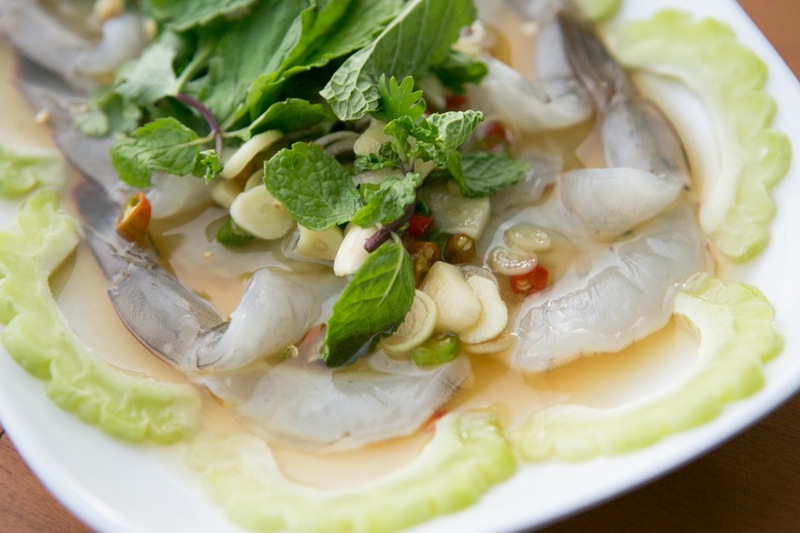 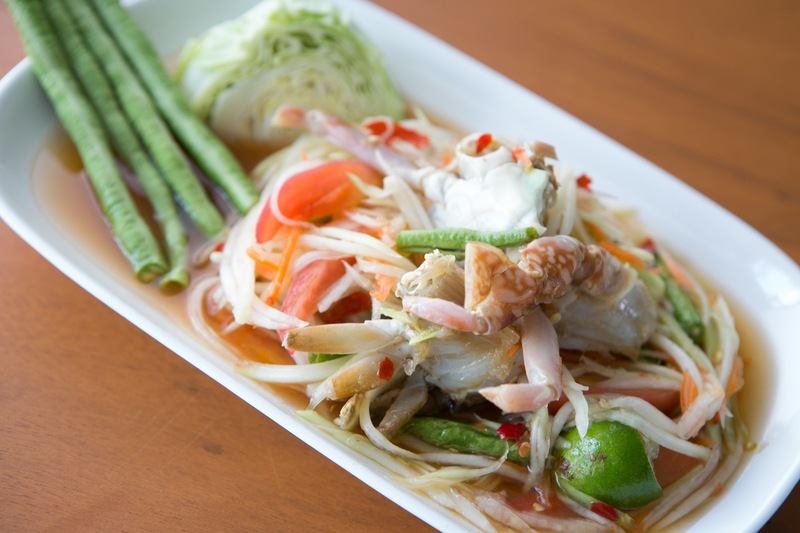 The combination of our authentic recipes and the fresh ingredient – being delivered daily from our own fishing boats – brings about an outstanding experience of Thai seafood dishes. 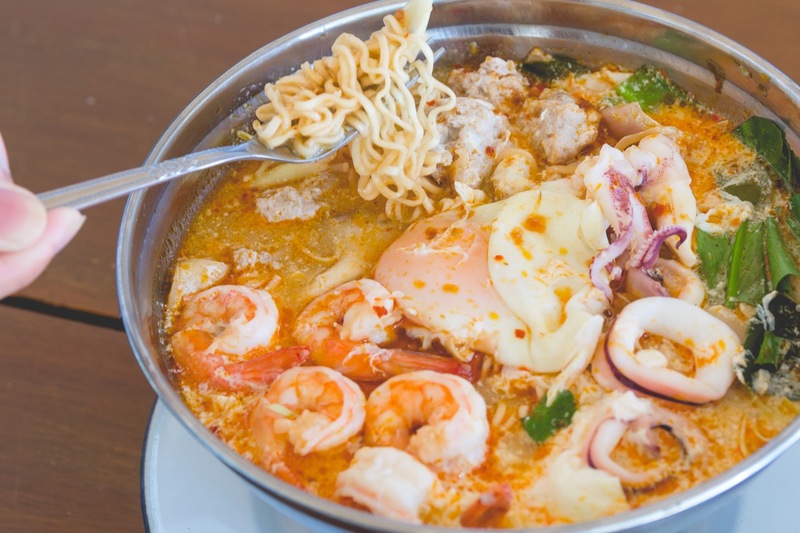 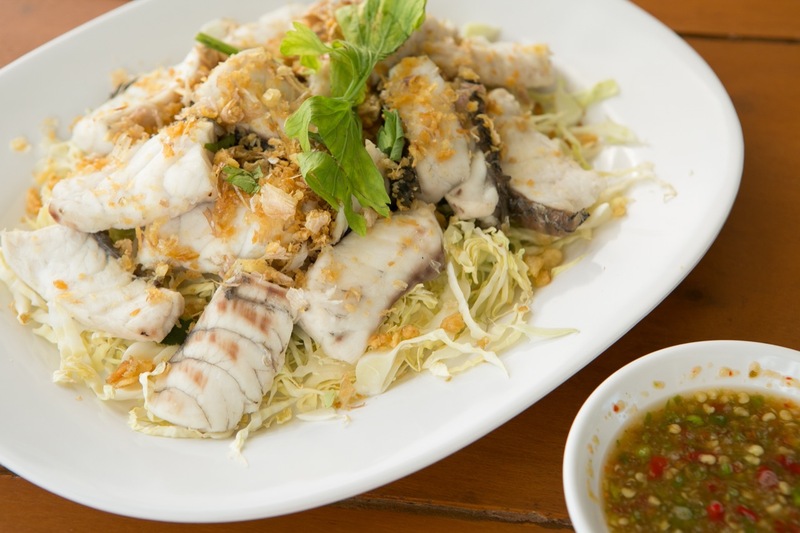 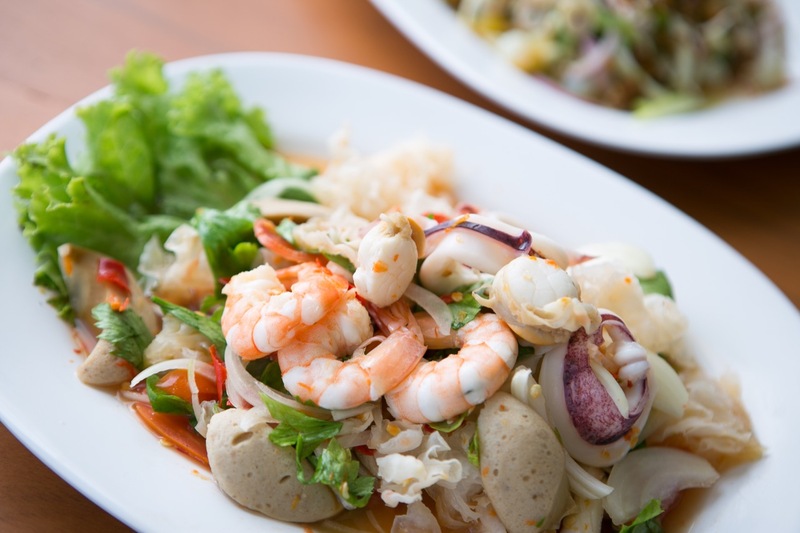 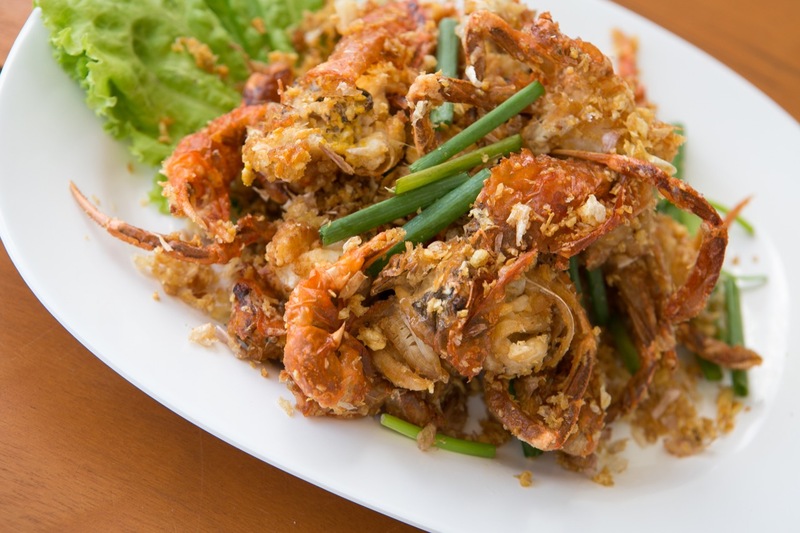 Our recommended menus include grilled prawn, steamed crab, deep fried seabass with fish sauce, hot and sour seafood soup (Tom Yum), deep fried mantis shrimp with garlic, and steamed squid with lime sauce. 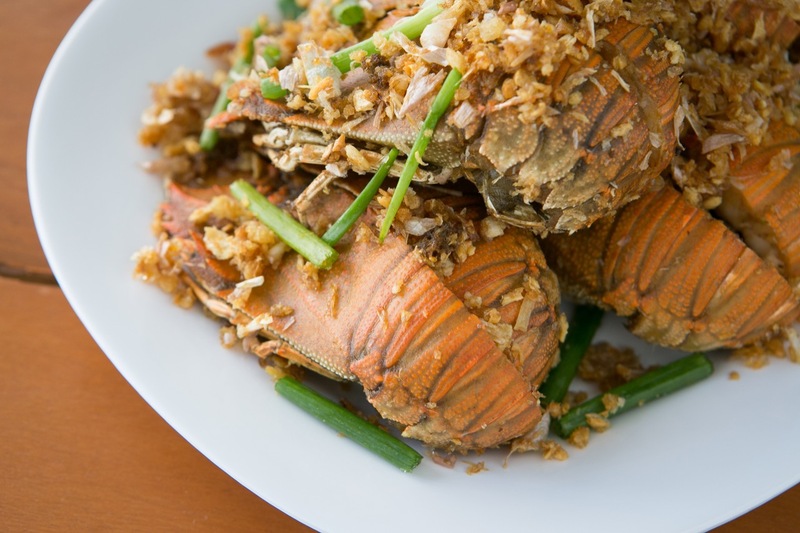 Last but not least, salak in syrup which is one of the most popular dessert of Chanthaburi. 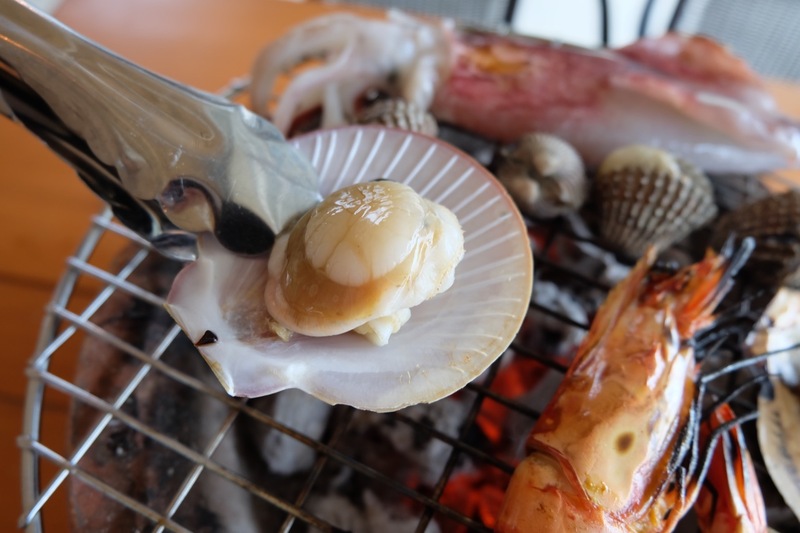 Moreover, do-it-yourself seafood BBQ is also an amazing option. 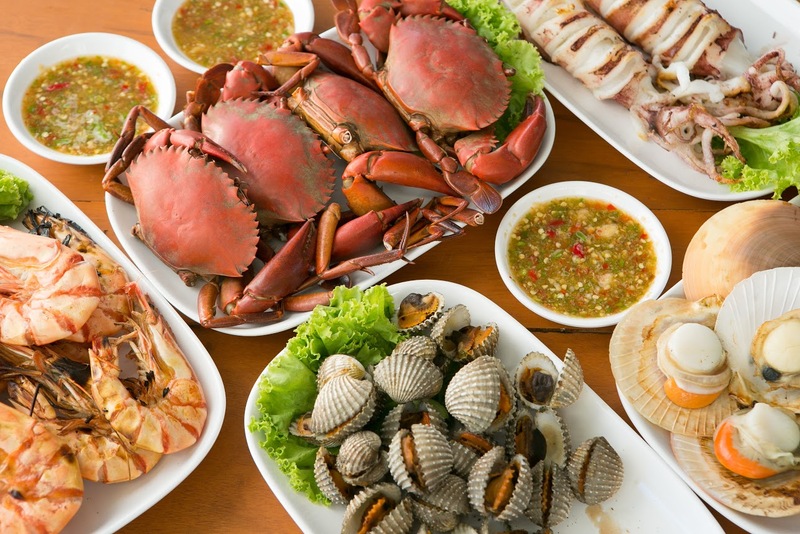 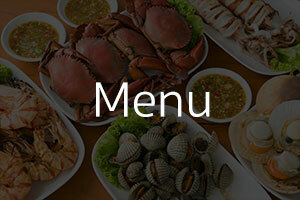 Fresh seafood and BBQ equipments will be prepared for your party. 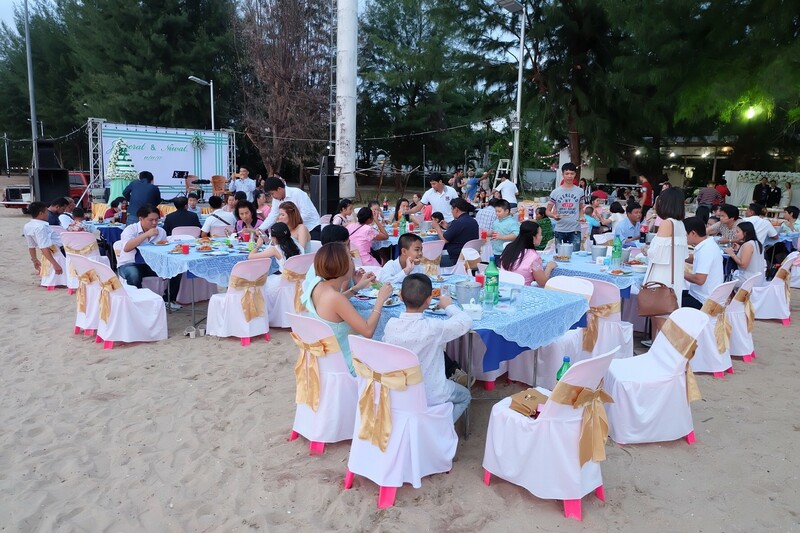 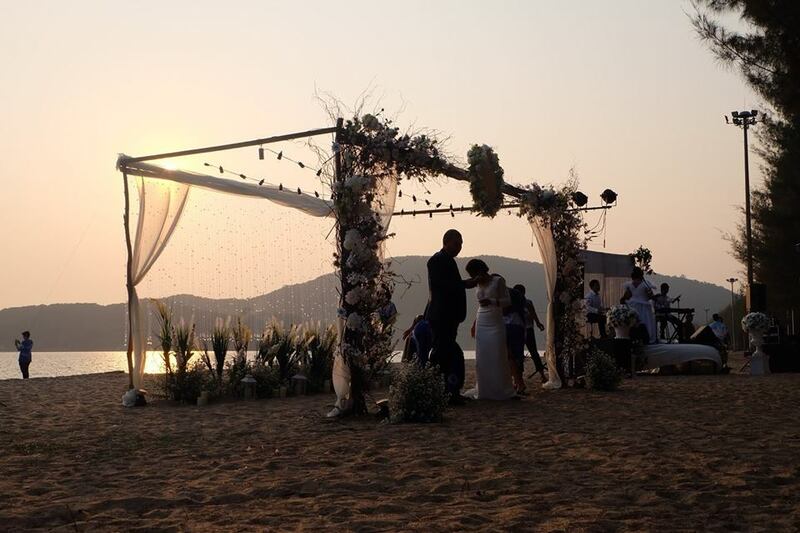 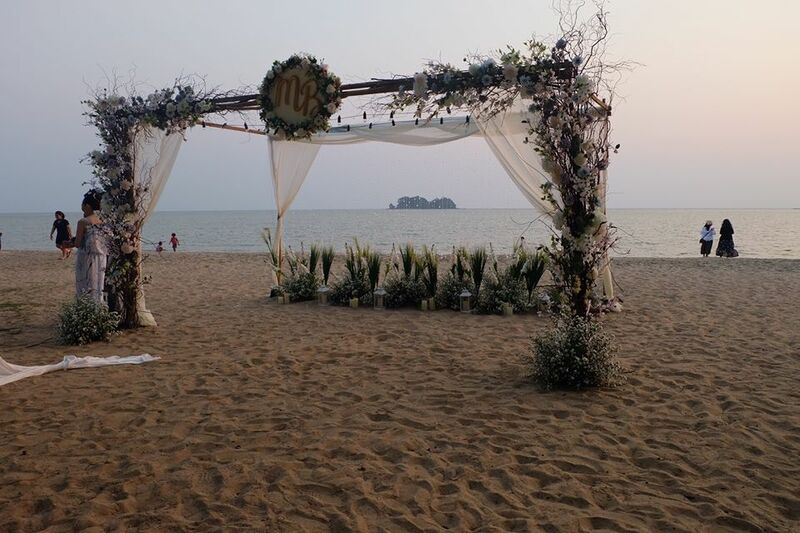 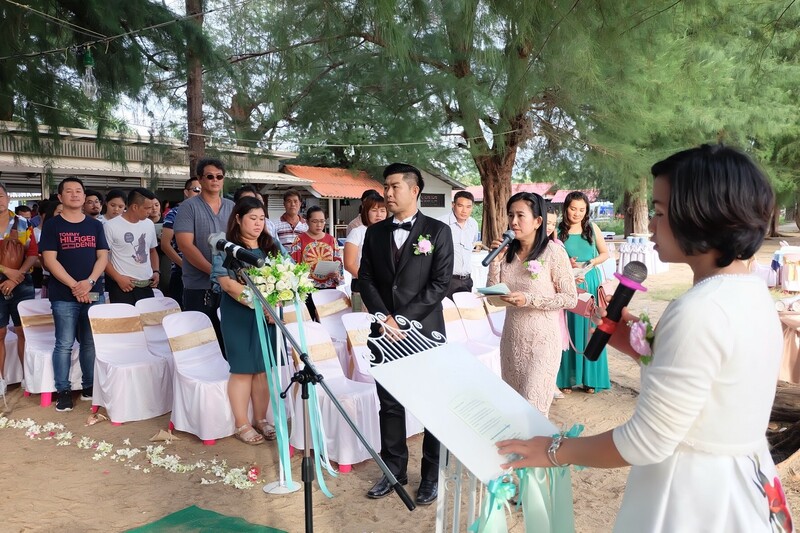 Happening on Laem Sing beach, you can surely indulge in good food and wonderful view. 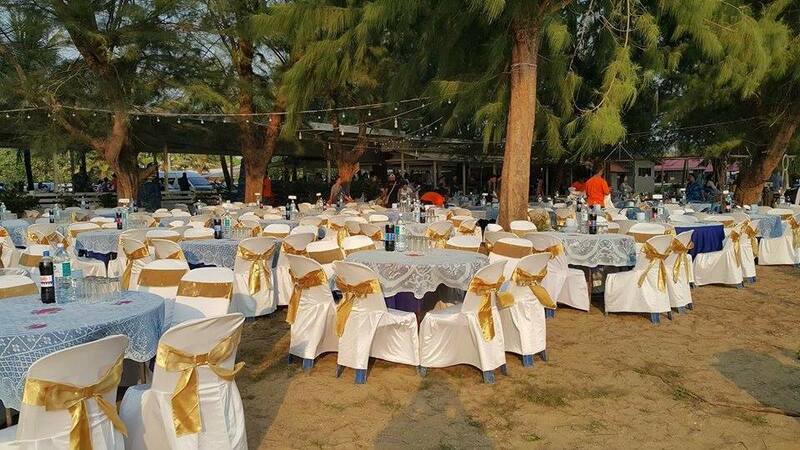 New Thewson restaurant is located on Laem Sing beach, great spot to watch the sunset and experience delicious Thai seafood in Chanthaburi. 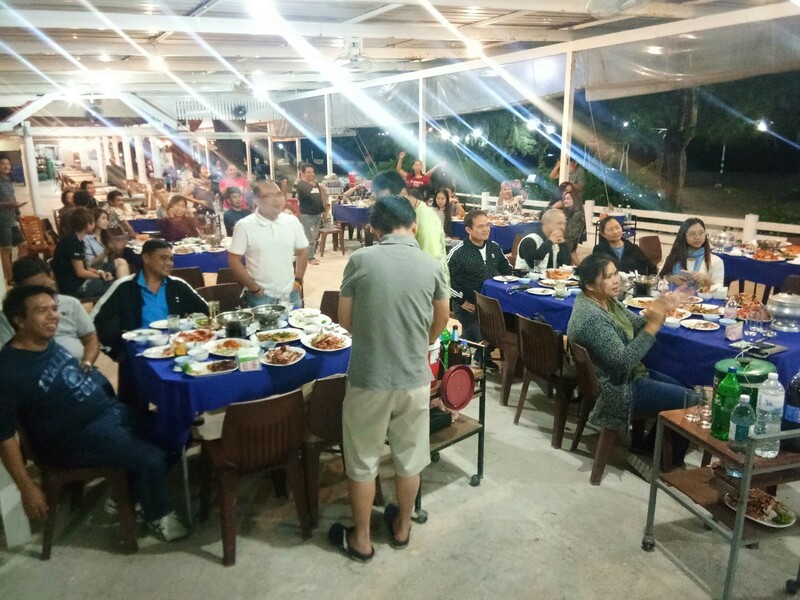 Both indoor, outdoor seating and parking are available for our customers. 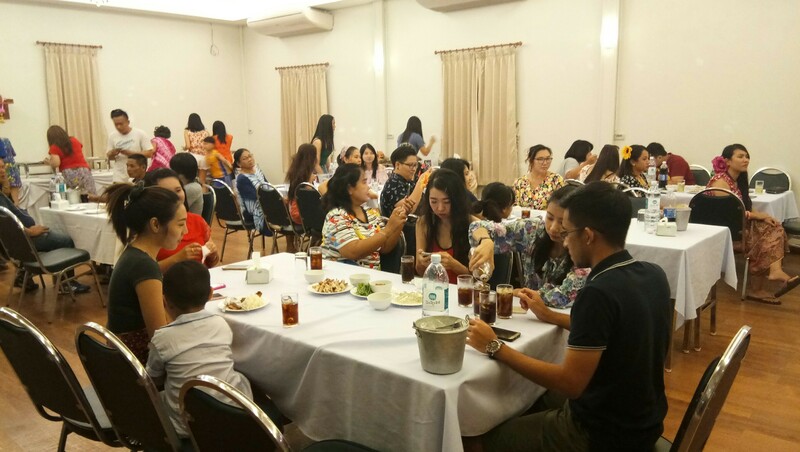 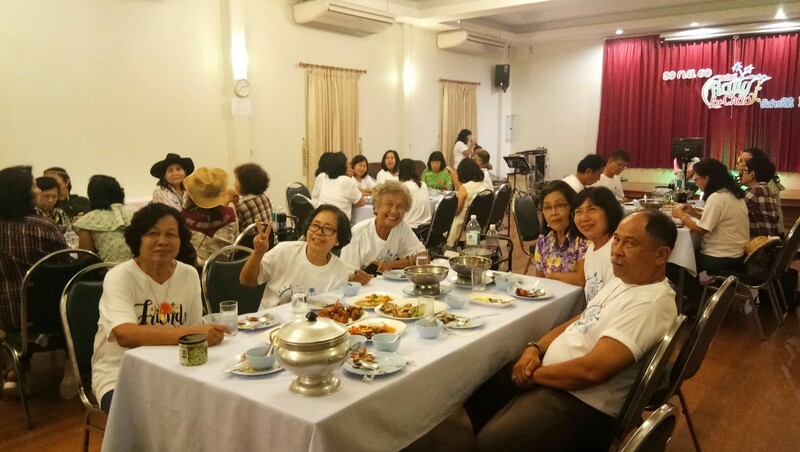 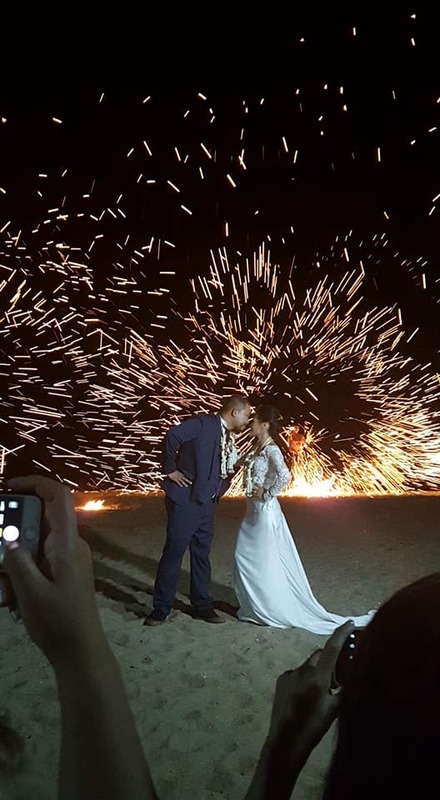 Our restaurant is spacious and ideal for not only casual and formal dinner but also birthday party, wedding reception and banquet buffet. 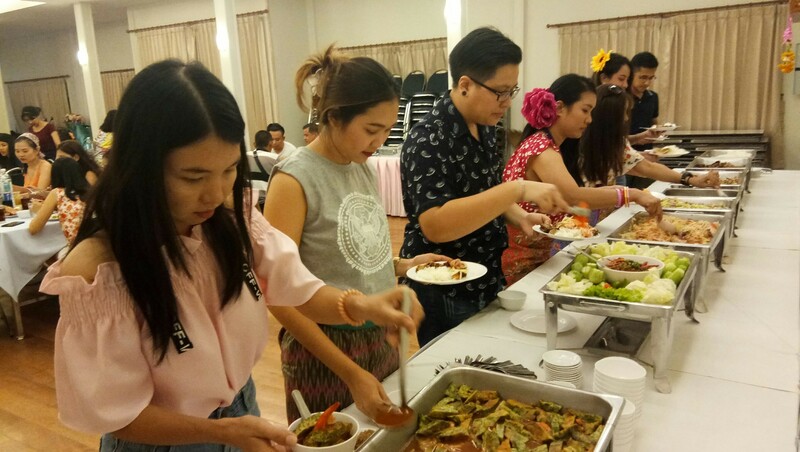 For more information, please visit our banquet page or contact us at 082 419 1994.